Fluoxymesterone has been ranked among the favorites in the arsenal of medications for bodybuilders and strength athletes for decades. This substance offers properties that show little steroids. 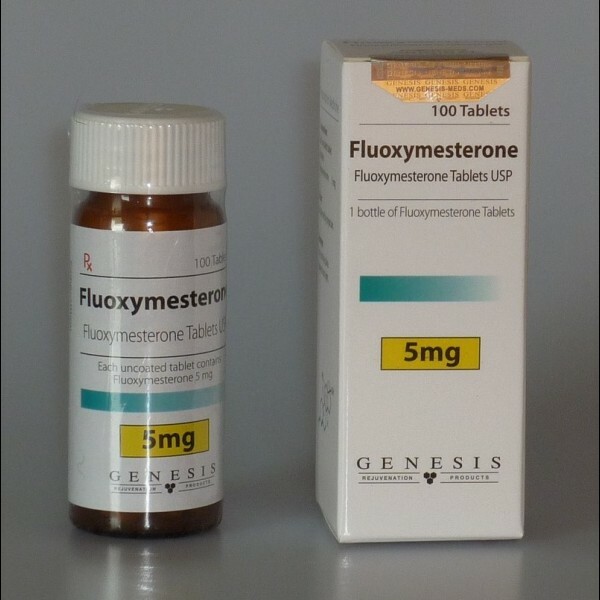 The main action of fluoxymesterone is first of all its extremely high androgenicity, which gives competitors the last few weeks of the diet a huge advantage and secondly a significant increase in strength, which is appreciated primarily by weightlifting. In terms of structure, fluoxymesterone is a testosterone derivative and is converted by the 5-alpha reductase enzyme, which explains the strong androgenic effect and at the same time is a warning to all athletes who are worried about their hair. Hair loss, acne and enlarged prostate are the direct effects of this transformation. However, the 11-beta hydroxyl group prevents conversion to estrogen so that any estrogen-type side effects, such as increased accumulation of fat and water, are excluded. This feature makes fluoxymesterone an optimal steroid for athletes. Thanks to the extremely high androgenicity and inability to convert into estrogen, the practitioner achieves a relatively fast, stronger, more plastic appearance of his musculature. However, the condition is so that the user had low fat content (less than 8%). However, the difference is huge. For this purpose, in the final 4-6 weeks before the championships, halotestin should be added in order to obtain maximum muscle strength. Trenbolone, stanzolone and testosterone propionate are good partners that guarantee a scenic look in tandem with halotestin. 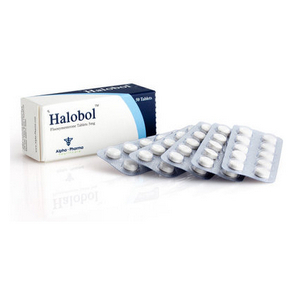 However, in the development phase, the use of halotestin has little sense. First, do not expect significant muscle gain due to low anabolic activity, and secondly, the relatively high toxicity of the active substance fluoxymesterone prohibits long-term use. Another advantage in this phase is extreme aggressiveness, which is caused by the substance fluoxymesterone and which allows intensive training with strict limitation of calories. Fluoxymesterone similar to methyltestosterone is also often used as a support against difficult training units. The dose then used is around 20-30 mg, which is taken about 30-45 minutes before training in such a way that the tablet should be held under the tongue until it dissolves or it is bitten to guarantee rapid resorption. Thanks to sublingual use, DTH receptors and androgen receptors are stimulated directly in the central nervous system and readiness for training increases significantly in a short time. Here fluoxymesterone can also be used in combination with ephedra HCL / or caffeine, because these two substances are excellent for sublingual use, but also athletes of strength sports outside of bodybuilding and weightlifting can use the advantages of this substance. Because fluoxymesterone does not work well, they are not known to be anabolic anymore, you should not expect significant muscle gain, which is ideal for athletes with specific classes, such as boxers, wrestlers and powerlifting. They use much increased aggression as well as an extreme increase in strength in the non-existent body mass growth. However, beginners and women should not use this remedy because it is very androgenic for these groups of people, too little anabolic and showing a lot of side effects. Women should be concerned about extreme androgenicity and symptoms of masculinization. The most common and most common side effects of fluoxymesterone include heart and circulatory load, deterioration in blood fat and changes in the psyche. Added to this is the clearly increased burden on the liver, stomach and intestine, due to the explicit alkylation of 17 – alpha, also increased aggression, oily skin / acne, hair loss, headaches and nosebleeds. Despite the lack of estrogen transformation, this substance blocks the production of testosterone very quickly and clearly, which makes intensive therapy after the application cycle desirable after application. The most common variant on the black market is the American “Halotestin” imported from Thailand. However, its production was halted already in mid-2002, so it should be assumed that only counterfeits can be obtained. 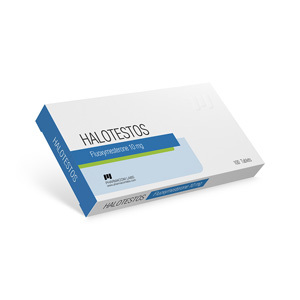 Admittedly, you can buy “Halotestin” in some European countries, however, these versions are very difficult to get on the black market. Since, as already mentioned, beginners and women are banned from taking this measure, athletes of strength sports remain as potential users. This group of people uses a daily amount of 30-60 mg, divided into three doses of 10-20 mg, in order to guarantee better gastric tolerance. Fluoxymesterone can also be taken sublingually at a dose of 20-30 mg for about 30-45 minutes before training as a training aid. Since fluoxymesterone is not usually used alone, it is recommended to follow the withdrawal schedule. divided into three doses of 10-20 mg to ensure better gastric tolerance. Fluoxymesterone can also be taken sublingually at a dose of 20-30 mg for about 30-45 minutes before training as a training aid. Since fluoxymesterone is not usually used alone, it is recommended to follow the withdrawal schedule. divided into three doses of 10-20 mg to ensure better gastric tolerance. Fluoxymesterone can also be taken sublingually at a dose of 20-30 mg for about 30-45 minutes before training as a training aid. Since fluoxymesterone is not usually used alone, it is recommended to follow the withdrawal schedule.